Today our blog looks at the issues risen by the National Education Union ahead of their conference this week, whilst also addressing stories on the Reception Baseline Assessment and school sprinklers. Today, Monday 15 April, marks the first day of the National Education Union (NEU) conference, which is taking place in Liverpool. Ahead of this, the NEU has issued press releases on child poverty as well as high needs funding. There has been coverage on this from the Guardian, the Independent, the Mirror, BBC Online and BBC Breakfast. Tackling disadvantage is a priority for this government. Employment is at a record high and wages are outstripping inflation, making absolute poverty lower than in 2010. We also spend around £600 million per year ensuring an additional 1.5 million infants enjoy a free, healthy and nutritious meal at lunchtime following the introduction of the Universal Infant Free School Meal policy in 2014. We are also investing £9 million to give more access to holiday clubs where families can benefit from activities and a nutritious meal during the school break. On top of this, we will provide councils with an extra £100 million of capital funding to create more special educational needs and disability (SEND) places in mainstream schools, colleges and special schools. This could include more facilities such as sensory rooms and specialist equipment. In December we also announced other ways in which we are helping local authorities and schools to manage the pressures they are facing, such as building more special schools and training more educational psychologists. Despite this, we recognise that there is more to be done and are looking carefully at funding levels in the context of the forthcoming spending review. We have increased spending on high needs from £5billion in 2013 to £6.3billion this year and it is not right to imply funding has been cut. We recognise the challenges facing local authorities and in December provided an extra £250million up to 2020 to help them manage high needs cost pressures. We have also provided councils with an extra £100million funding to create more SEND places in mainstream schools, colleges and special schools. Our ambition for children with special educational needs and disabilities (SEND) is exactly the same for every other child – to achieve well in education, go on to college or university, and to live happy and fulfilled lives. 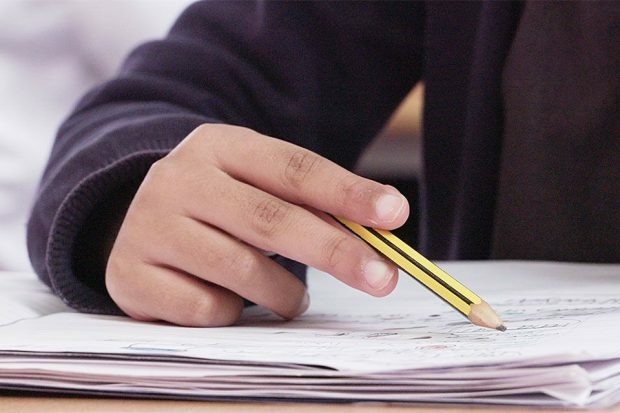 Yesterday, Sunday 14 April, the Observer published an article about the reception baseline assessment and some of the criticism around the age which children will take the assessment. Data from the reception baseline assessment will only be used to form the progress measure. No numerical score will be shared and the assessment will not be used to label or track individual children or hold providers to account. The data from the assessment will be stored in the National Pupil Database until the end of Year 6. Schools should be accountable for the progress of all their pupils, throughout their time at primary school, and the reception baseline will help to provide a starting point to measure how well the school supports children to succeed. We have invited schools who are interested to pilot the assessment and help us make sure it works for children and teachers before its full introduction in autumn 2020. Yesterday, the Observer also ran a piece about sprinklers in schools. The piece is based on a press release from the Labour party which says that less than one in six new schools have sprinklers installed. The department launched a call for evidence on 8 March 2019 on its fire safety design guidance for building new schools (Building Bulletin 100), as part of wider work on fire safety across government. The call for evidence is the first part of a full public consultation on BB 100. We want to work with experts from across the fire sector and construction industry to ensure we take into account the latest views and positions on fire safety in schools, before any further revision to the guidance is made. The safety of pupils and staff in our schools is paramount. Schools are fundamentally safe places, and are designed to be evacuated as quickly as possible in the event of a fire. All schools are required to have an up-to-date Fire Risk Assessment and to conduct regular fire drills. All new school buildings must be signed-off by an inspector to certify that they meet the requirements of building regulations and where sprinklers are considered necessary, they must be installed.